The Governor of Iowa's SUV was clocked at 84 MPH. A senior member of Iowa's police force called it in, but the SUV wasn't pulled over. He complained about the incident. He's now been fired. 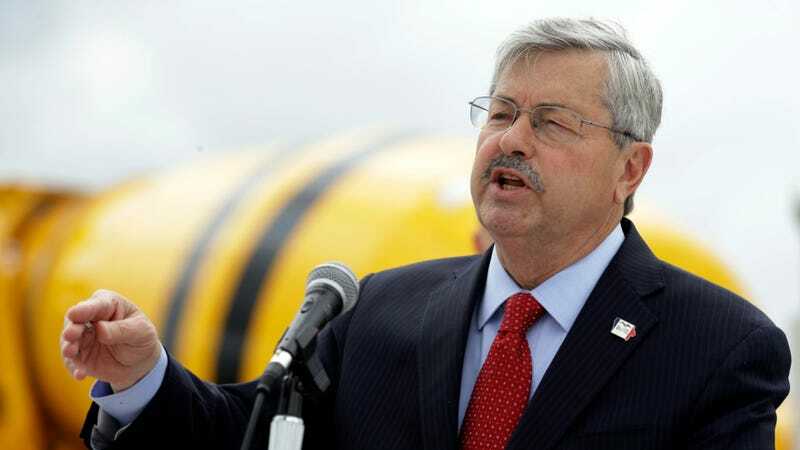 Special Agent in Charge Larry Hedlund observed the SUV of Governor Terry Branstad going nearly 90 MPH on the highway. He was in a state owned vehicle, but called for an on-duty officer to pursue. Another officer clocked the SUV at 84 MPH, but didn't pull them over once he saw that another trooper was driving. Hedlund complained to superiors about the incident and how it could have endangered public safety. Soon after, Hedlund was put on paid leave for an alleged rules violation, that being the use of a state-owned vehicle while off duty. Hedlund was just fired after a two and a half month investigation this week. He was part of the Iowa police for 25 years. Hedlund says that the firing definitely had nothing to do with the alleged rules violation and was absolutely about calling for a pursuit of the Governor. His lawyer said that he will appeal. The Governor's office is reviewing the case and is also working on scheduling so they don't have to speed in the future. Seriously. That is a thing that was said.